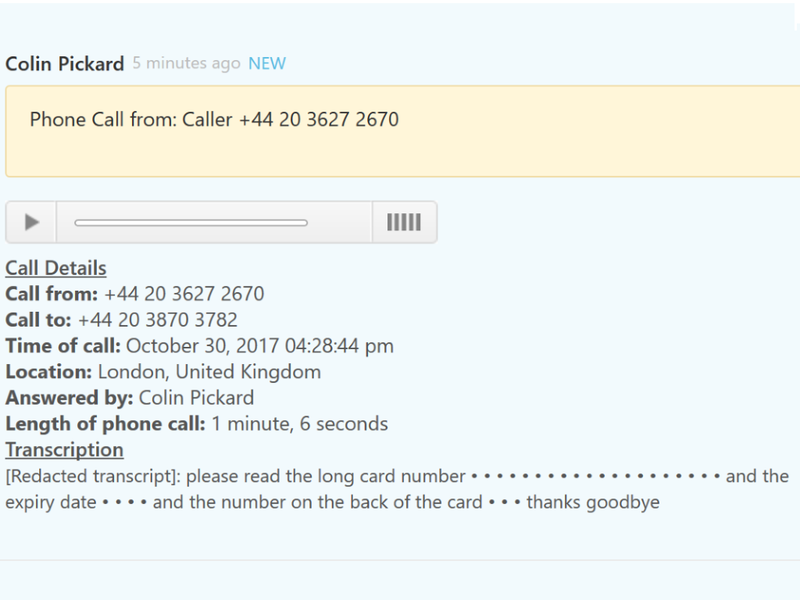 Your recorded calls in Zendesk Talk transcribed by Intelligent Voice, with smart redaction of payment card data so your organisation can be compliant with PCI DSS. 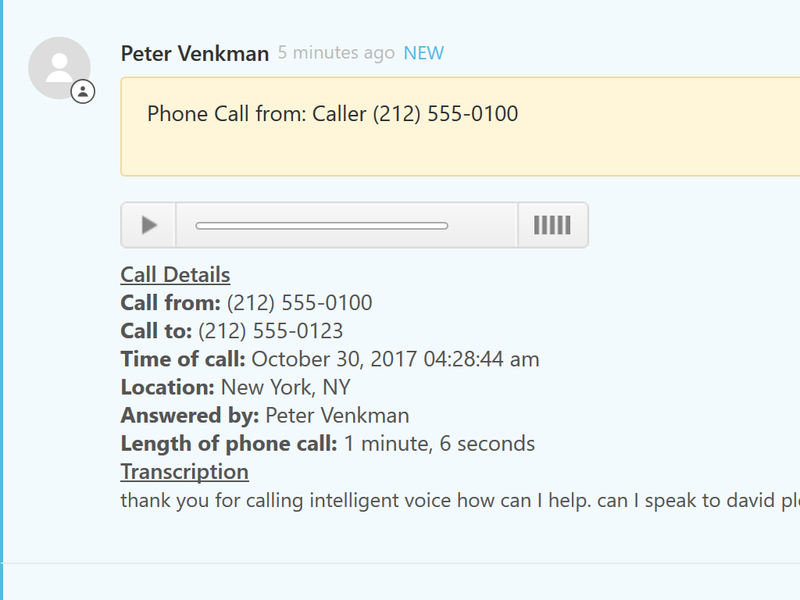 All call recordings in Zendesk Support tickets will have a English basic transcript attached. 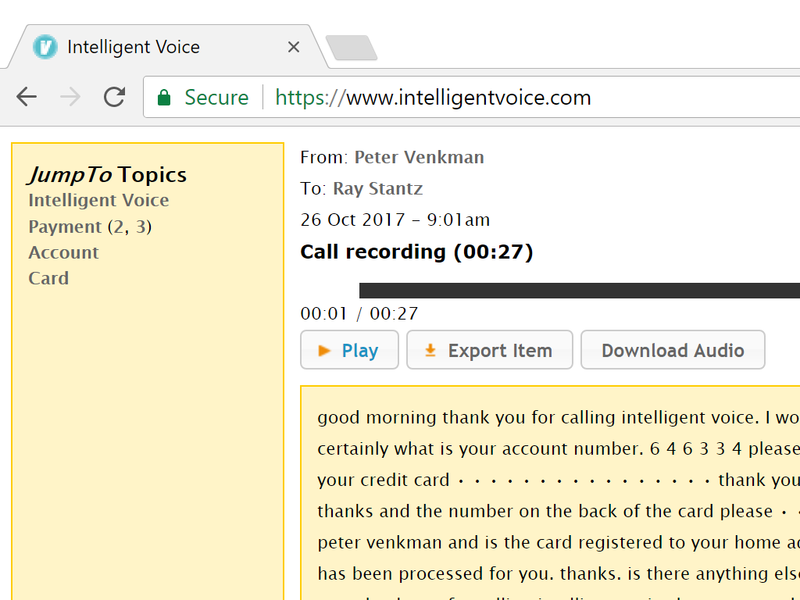 Intelligent Voice detects and redacts credit card information in both the audio file and the transcript. Find words and phrases inside your call recordings using Zendesk search. Automated Language Switching: Expand your transcription capabilities to include other languages such as Spanish, Portuguese, French and Japanese. You will need to enter your subdomain, API token and email address.